This sad little ottoman had quite the make over with some TLC. All four legs were wobbling, its filling all out of shape, fabric faded, staples rusted all in all a sad little pouf. 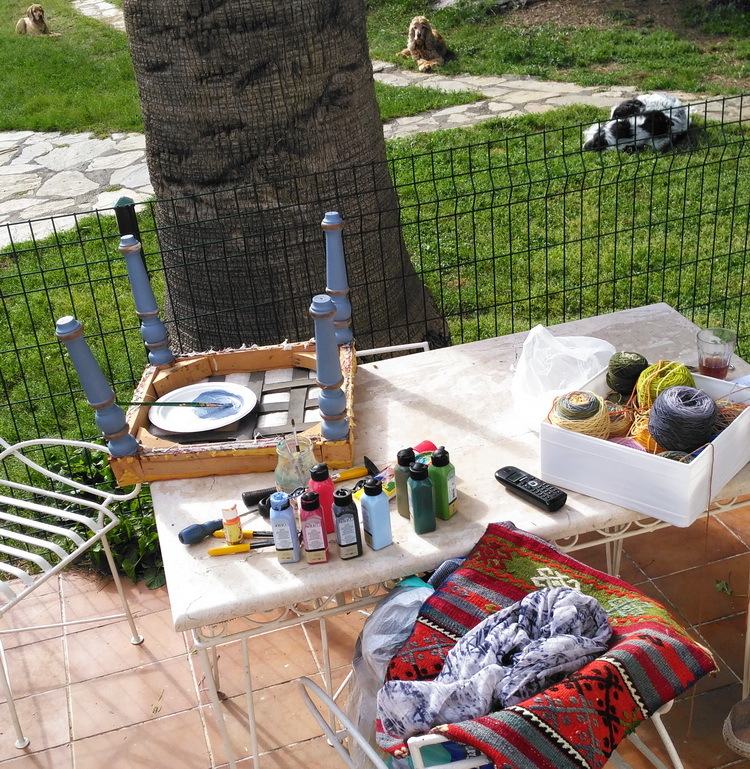 You might remember this photo were I had already removed the fabric and the guts of the ottoman and started painting. 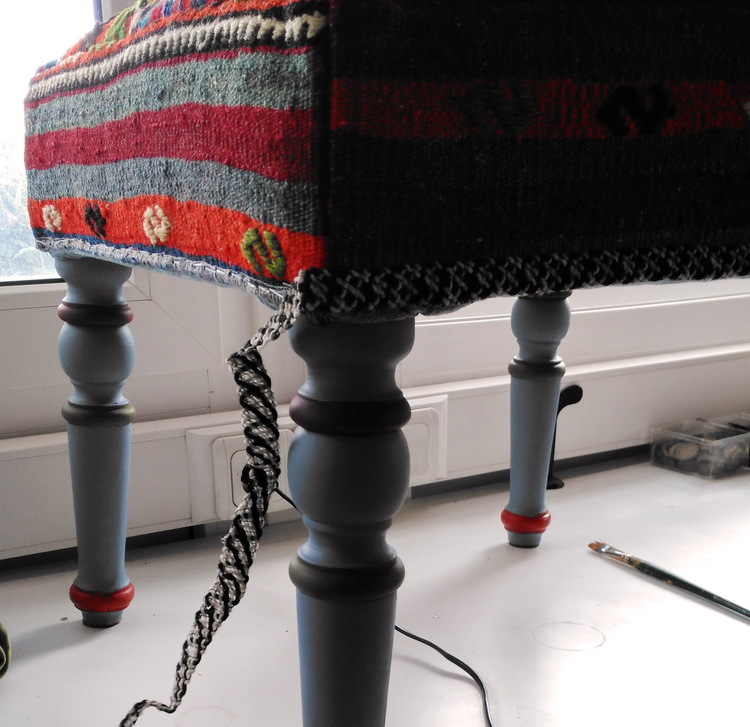 The vintage black and white trim is to cover up the staples that hold the kilim to the pouf. I'm so happy how this one became! Only the filling and the under fabric is new, everything else has a history. Look how sad the top was, the fabric was actually very bright in the inside it was now pastel from years of sun exposure. Here another sad detail of ripped fabric, dried out wood and rusted staples, the original upholstery was never well done but years did not help it either. The completely made over pretty kilim ottoman is available at StarHomeStudio among other one of a kind furniture pieces. 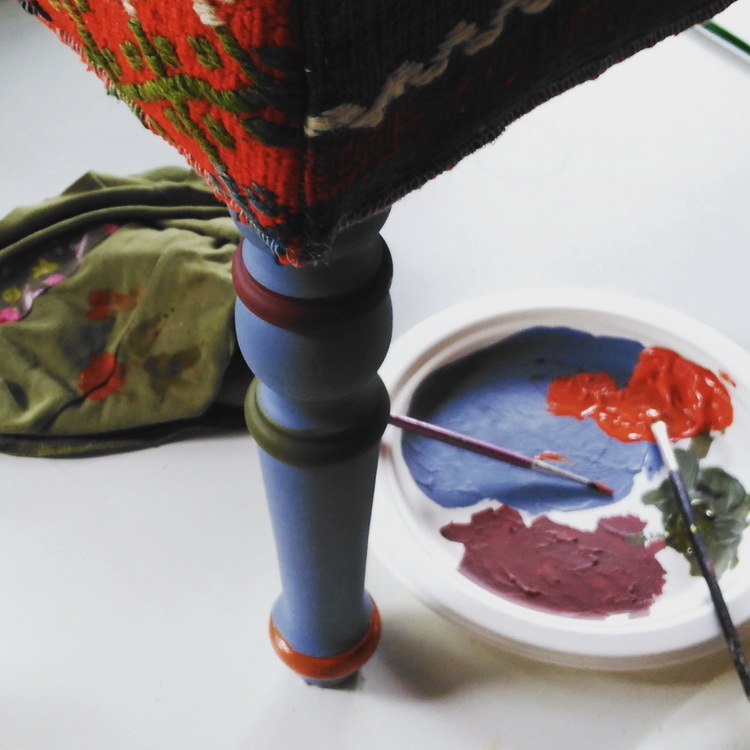 I always love how you transform old seemingly lost furniture into those happy colorful gems! Gosh, what a change! Now it looks awesome! Absolutely beautiful!! Love to see your dogs watching works in progress! It looks so great! The details on the legs is so perfect! Wow! These colours are really something.